Kate Rheinstein Brodsky has design and shopkeeping in her blood. Her mother is celebrated designer Suzanne Rheinstein who also owns Hollyhock, the chic La Cienega shop, so perhaps it was destiny that Kate should one day have her own stylish design destination. 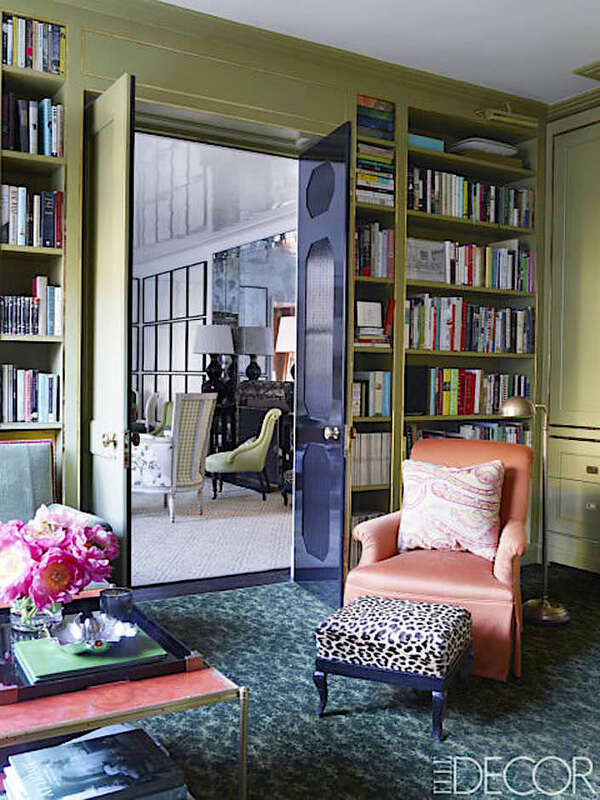 A little over two years ago, KRB opened in a jewel box space on East 79th Street. But when a two story street front space opened up nearby on 74th Street, it seemed the perfect opportunity to expand. Tuesday evening I stopped by for a peek at the official celebration of the new KRB location. 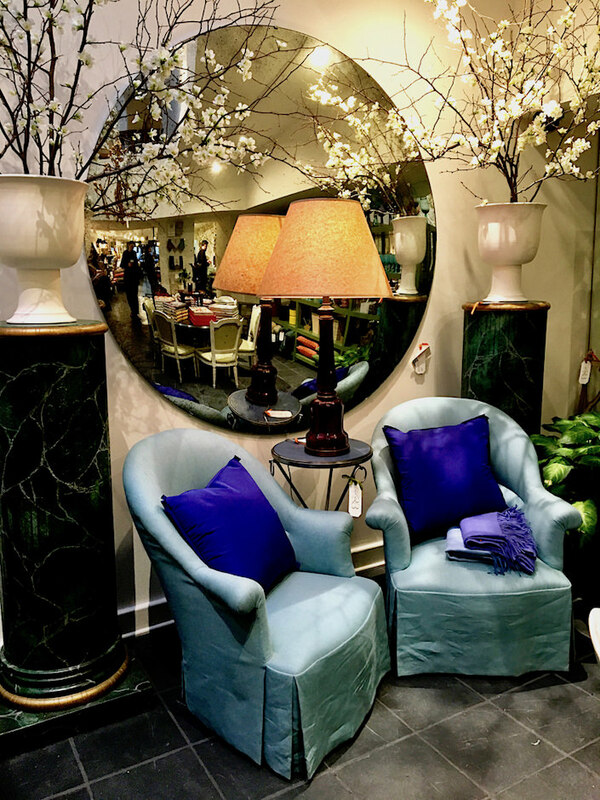 From antiques and vintage furniture to custom new pieces, accessories and more, the offerings at KRB are chic, eclectic and covetable! 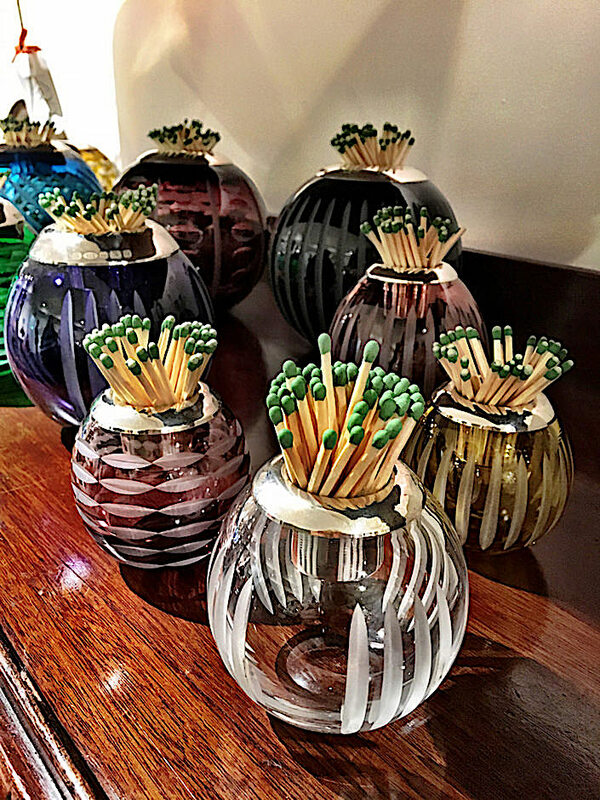 to the most fetching accessories, you’ll find something for every room, tabletop and wall in your home. Crystal match strikers are like jewelry for the table. 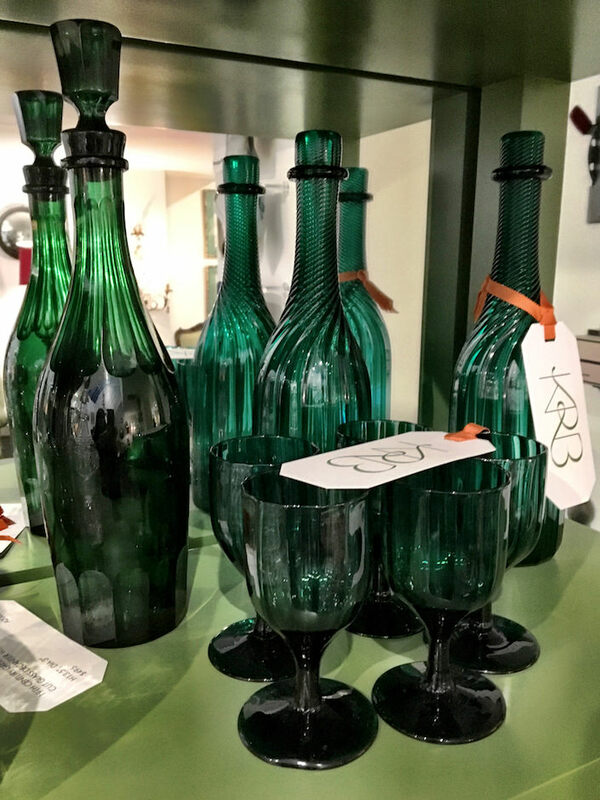 I have a predilection for green glass and loved these 19th century English emerald examples – decanters here. 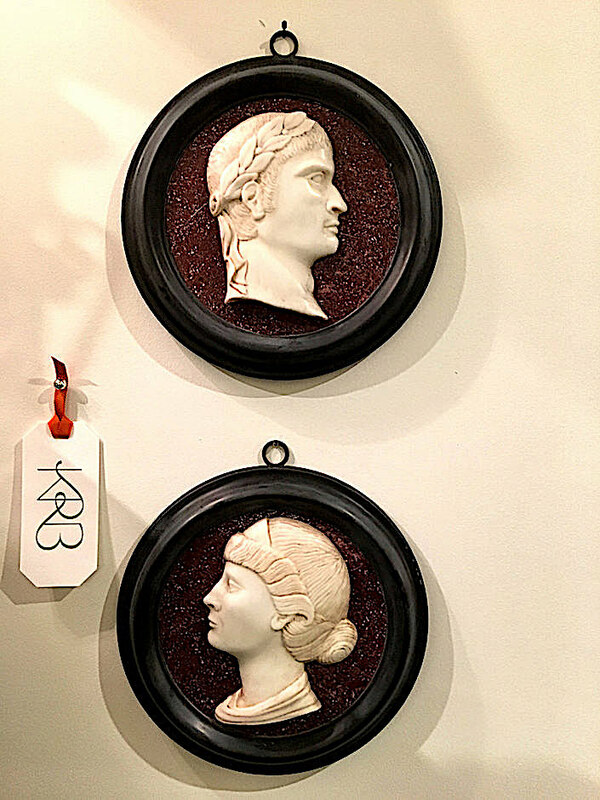 Add instant ancestry with these stately 19th century marble and porphyry portrait plaques of a Roman Emperor & Empress. Starry eyed? 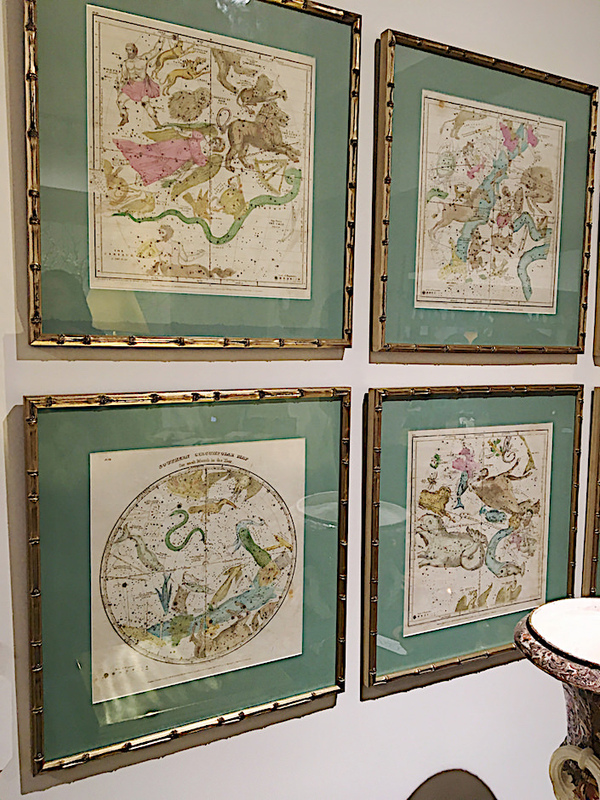 This set of hand-colored 19th century celestial engravings will have you intrigued and enchanted. 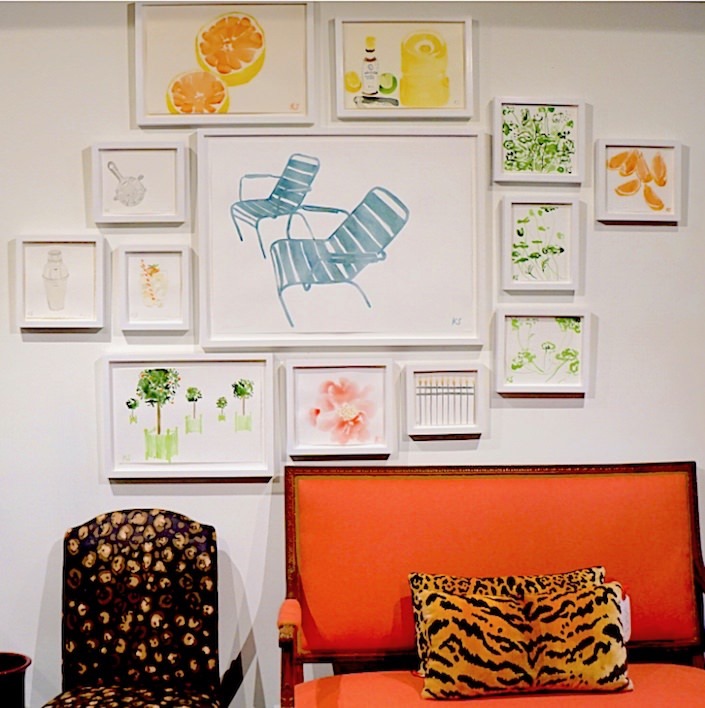 And like all the ready-to-hang art in the space, Kate has chosen just the right frames to enhance their appeal. Kate Schelter’s charming watercolors would add a fresh light hearted dose of sunshine to even the dreariest space. 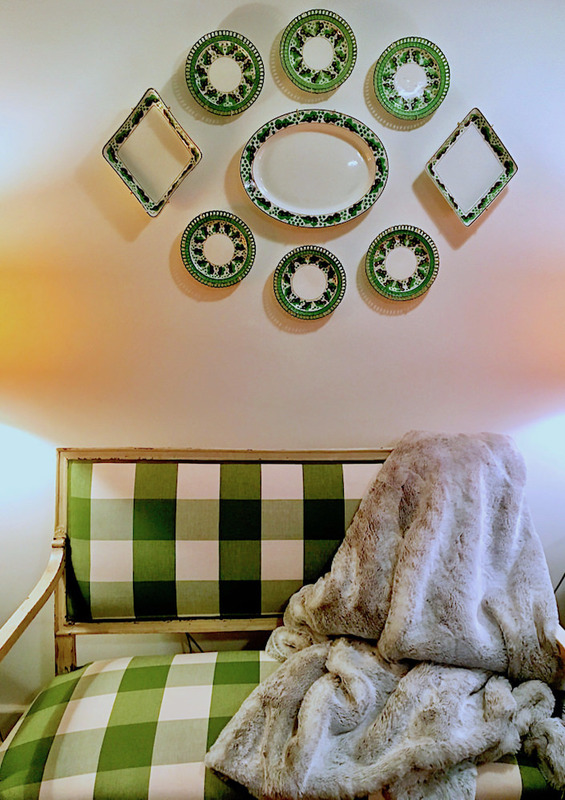 For green lovers like Kate and me, there is a plethora of choices such as this charming directoire set of settee with matching fauteuils, all engagingly upholstered in an oversized green gingham, below a partial set of 19th century Spode Creamware. This is merely the tip of the temptation iceberg you will find at KRB. 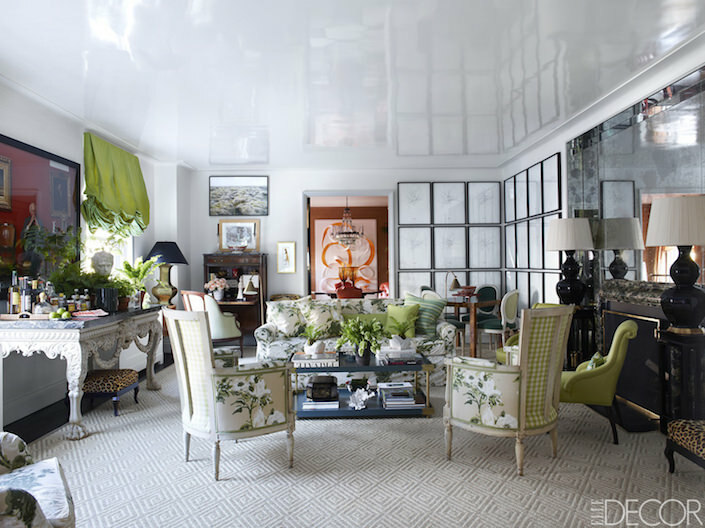 And if you need any inspiration of how it can all work together, just take another peek at Kate’s own chic apartment from when it was featured in ELLE DECOR. 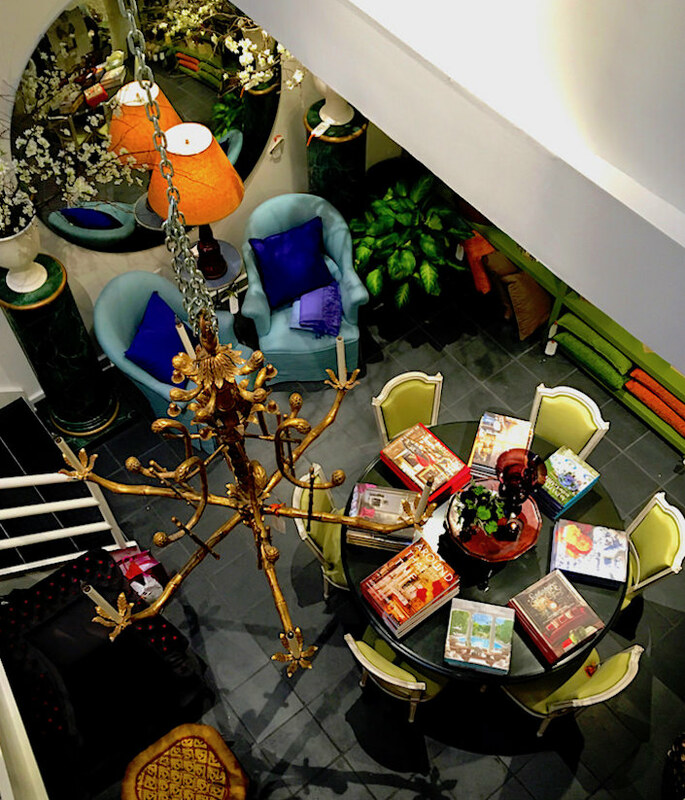 This entry posted in art, design, furniture, gifts, interior design, Shop Talk. 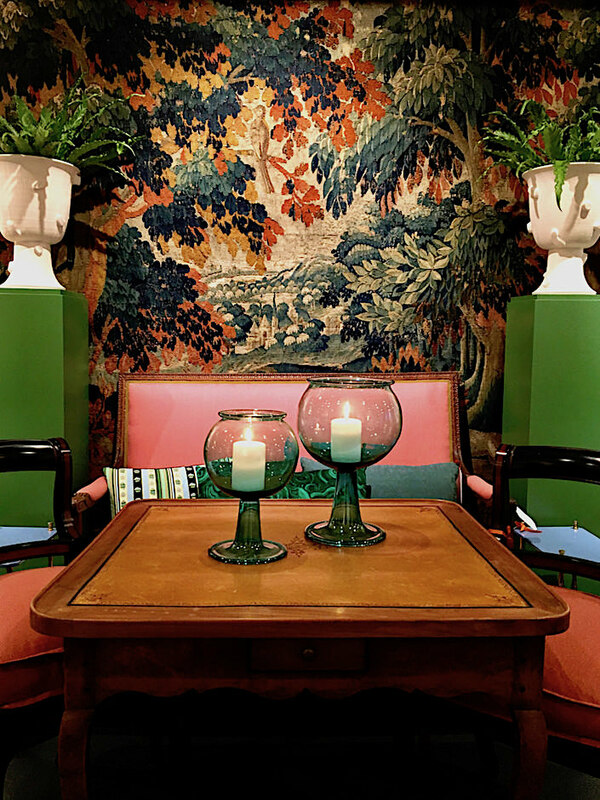 Entry Tags: antiques, interior design, Kate Rheinstein Brodsky, KRG, NYC shopping Bookmark the permalink. So much to look at here. That high-gloss ceiling really works. I love it all! Love the tones of green! Love the mix of colors! The logo on the tags is exceptionally beautiful. Would love to know who designed it. Thanks for sharing this with us. 80 queries in 0.539 seconds.